Israel’s largest collection of flora is a model for biodiversity and offers programs that strive also to make it a model for human diversity. About 180,000 visitors enjoy the botanical gardens every year. Photo by Judith Marcus. Plants aren’t just pretty; they are also politically neutral. And that makes the Jerusalem Botanical Gardens (http://www.botanic.co.il/en) the perfect setting for a four-year-old hands-on coexistence course bringing together nine- to 11-year-olds from the city’s Jewish and Muslim schools. After nine sessions of learning about subjects such as spice, olive oil and herbal remedy preparation, the kids are sufficiently bonded to visit each others’ schools for plantings. 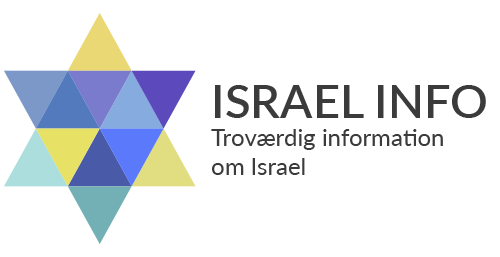 This is just one of many programs blossoming at Israel’s largest botanical garden, says Sue Surkes, director of development. 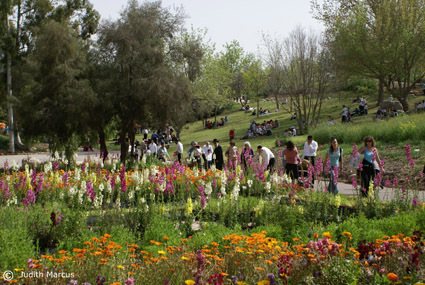 The 30-acre oasis on the southeast corner of the Hebrew University’s Givat Ram campus houses about 10,000 species arranged according to geography, with sections for plants native to the Mediterranean region, Central and Southwest Asia, Australia, North America, Europe and Southern Africa. It also has a large collection of bonsai trees, a tropical conservatory and an herb and medicinal plant garden. An aerial view of the botanical gardens’ lake and café. Photo by Judith Marcus. Photo by Judith Marcus. To reach broader audiences, including Christians and Muslims, the JBG is opening a newly upgraded Bible Path, complete with new plantings, outdoor classrooms, interpretational aids and innovative programming. Also on the drawing board is a young environmental leadership course for teenagers from disadvantaged neighborhoods. The goal is for the “graduates” to take their newfound knowledge to their own communities, helping to advance projects such as community or school gardens and/or butterfly gardens. Leah Garzon, JBG’s director of education, sends staff to help plant school gardens in Jerusalem’s ultra-orthodox neighborhoods, whose pupils have little opportunities for nature studies. The staff also is starting seminars for Orthodox student teachers, providing a living workshop to contextualize the many botanical and agricultural references in the Jewish Scriptures. And JBG’s head scientist, Dr Ori Fragman-Sapir, is developing an international online course on the flora of the Holy Land that will conclude with an optional one-week botanical tour of Israel. 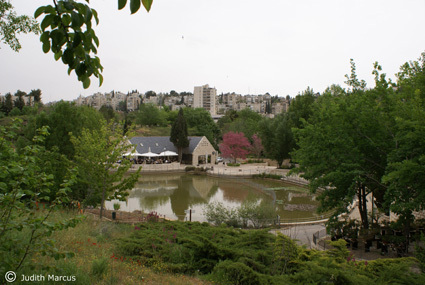 Though the current Jerusalem Botanical Gardens opened in 1985, its roots go back much farther. The garden was begun in 1931 under the direction of Alexander Eig, then chairman of the Hebrew University botany department, on a plot of land near the university’s Mount Scopus campus in northeast Jerusalem. When access to the campus was cut off during the 1948 War of Independence, the garden was planted anew at the newer campus, beginning with North American conifers. In 1994, the JBG became a not-for-profit enterprise. Representatives from the Hebrew University continue to sit on its board along with representatives from the Jerusalem municipality, the Jewish National Fund-Keren Kayemeth LeYisrael (www.kkl.org.il/eng), the Jerusalem Foundation (www.jerusalemfoundation.org), the Kaplan-Kushlik Foundation and the Society of Friends of the Jerusalem Botanical Gardens. Three years ago, Jerusalem native Oren Ben-Yosef took over as director general at the JBG. Under his leadership, the amount and range of activities at the site has grown, leading to a rise in the annual number of visitors from 80,000 in 2008 to 180,000 in 2010. A yearly wine festival is one popular event that brings in young adults; the on-site Caffit café, overlooking the botanical gardens’ lake and the starting point of its train ride, also attracts many visitors. The second flagship project will be a biodiversity education center at the tropical conservatory. “It will take people on a journey between two environmental extremes, the rainforest and the desert, to understand the amazing adaptations of plants to different environments,” according to Surkes. In addition, the JBG is raising money to expand another 20 acres. “We want to create new sections to exhibit plants from South America and Southeast Asia, including a large exhibit of Chinese gardens,” says Surkes. Also planned are a new entrance, a new visitor center and a horticultural school. The gardens also host research projects, including one run in conjunction with several universities that recently won a grant from the office of Israel’s Chief Scientist. This study will look at conditions that can contribute to strengthening biodiversity in the Mediterranean. Surkes stresses that the JBG’s staff of about two dozen people depends on a 100-strong volunteer force that works in the seed nurseries, gardens and gift shop. “They are the absolute backbone of the gardens,” she says.